Stating the obvious – you cannot have a game without umpires. The USAFL Umpires Association main objectives are the recruitment, training, and development of USAFL Field, Boundary, and Goal Umpires. But we cannot do it alone. We must have help. Your help. Each team’s executive committee must keep these same objectives. 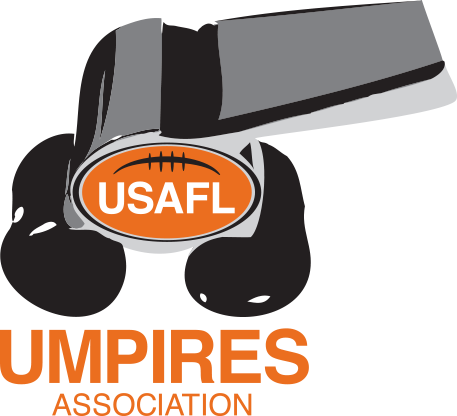 The development of USAFL Umpires in each city is paramount to the success of your franchise and our league. Together, we can ensure that each and every future USAFL game is adjudicated with properly trained, professional umpires. to games and tournaments. Others have found a way to stay active with the game after playing days have passed. Looking to simply learn more about the game or pursue another way to participate in the game of Footy, everyone is welcome to attend! What is an accredited U.A. Umpire? an umpire who is a member in good standing with the USAFL Umpires Association. What will one learn at the Umpire Clinic? No Replies to "Regional Tournament Umpire Clinics"